During the 16th Oscar Awards, in 1944, presented in Grauman’s Chinese Theater, in Los Angeles, Katina Paxinou becomes the first Greek actress ever to be honored with the Academy Award for Best Supporting Actress, for incarnating Pilar, in “For Whom The Bell Tolls”, by Ernest Hemingway. 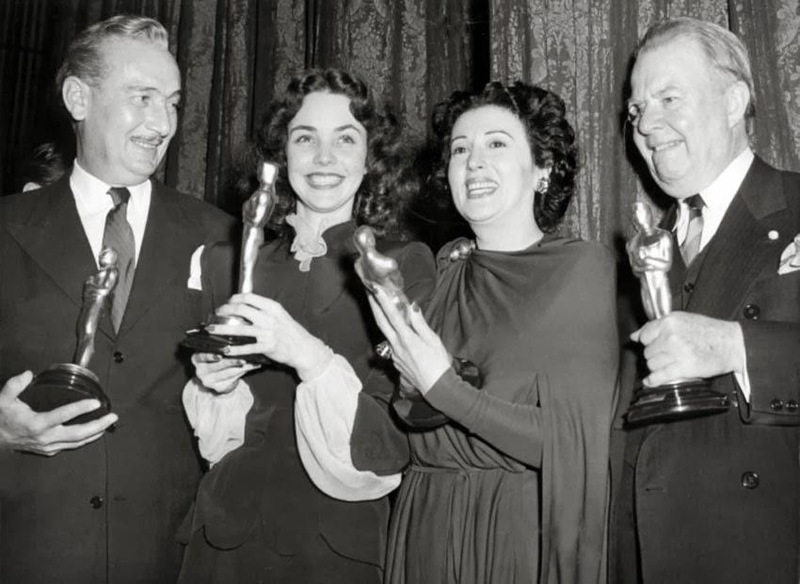 It was the first time that the ceremony was held in a theater and not a restaurant, and it was also the first time that the Best Supporting Actors/Actresses win an Oscar Statuette and not an honorary plaque. For that same acting, Paxinou also won a Golden Globe. The self-exiled Jules Dassin directed in 1960 the legendary film “Never On Sunday”, starring Melina Mercoruri, with the music of Manos Hadjidakis, and having Theoni Aldredge as costume designer. Naturally, the film was nominated for 5 Oscars: Best Director, Best Original Screenplay, Best Costume Desing, Best Music, Original Song. It finally won the Best Music Award, but there was noone there to receive the Oscar. The Academy sent it to Manos Hadjidakis, but it was lost somewhere in Yugoslavia. After the journalists’ persistence, the composer agreed to hold the one that was given to Paxinou, for the sake of the photographers. A long time after that, the Academy sent him an exact copy. 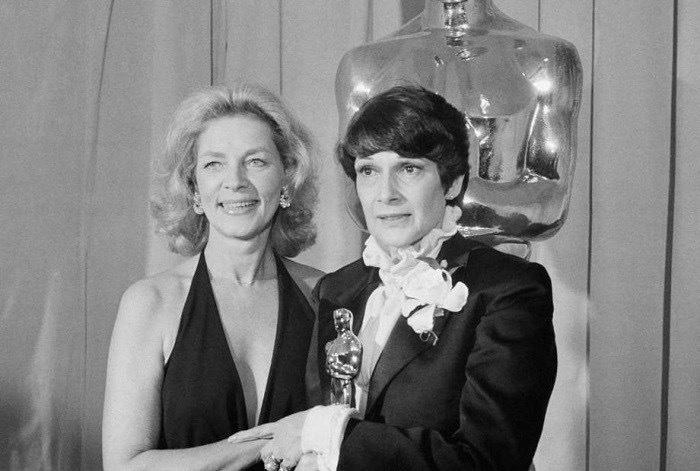 Theoni Aldredge won the Best Costume Desing Award for “The Great Gatsby”, starring Robert Redford, in 1974. In 1962, “Electra”, by Michael Cacoyannis (his first time in the Oscars), was nominated for Best Foreign Language Film. Unfortunately, the film “Sundays and Cybete” prevailed. 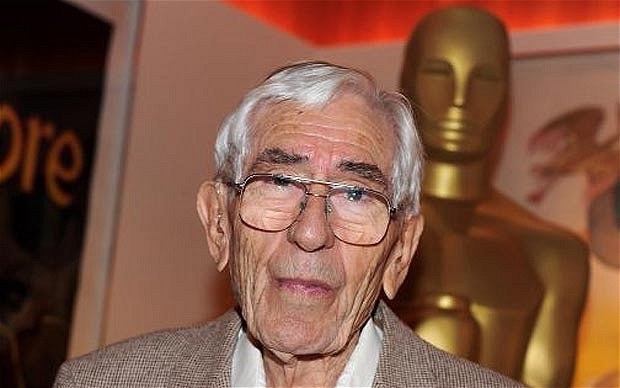 Two years laters, his film “Zorba the Greek”, won three Oscars (Best Supporting Actress for Lila Kedrova, Best Cinematography, for Walter Lassally and Best Art Direction-Set Decoration for Vassilis Photopoulos. The film was also nominated for Best Actor in leading role, Best Director, Best Picture and Best Writing, Screenplay Based on Material from Another Medium. 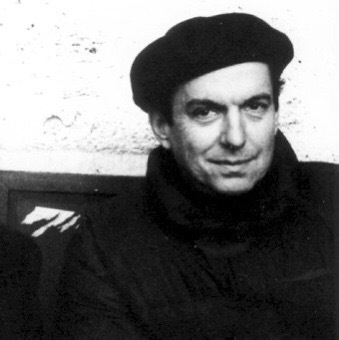 A few years later, in 1978, in the 50th Oscar Awards, Michael Cacoyannis and his “Iphigeneia” are nominated for Best Foreign Language Film, but the french “Madame Rosa” was the winner. 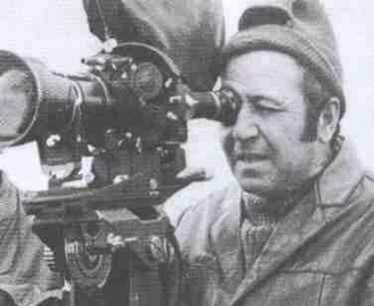 Georgiadis’ films “Ta kokkina fanaria” and “Blood on the land” were nominated for Best Foreign Lanuage Film (in 1963 and 1965). None of them won the Oscar. The first because it had to compete with the magnificent film “ 8 ½” by Federico Fellini, and the second, lost from the “Shop On The Main Street”, a film from Czechoslovakia. 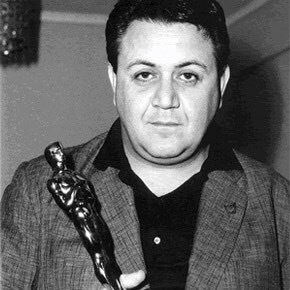 He won his first Oscar in 1964 for the “conception and perfection of techniques for color traveling matte composite cinematography”. In 1978, Petro won an Emmy Award for Ultimatte Compositing Technology. The Academy of Motion Picture Arts and Sciences gave him a Medal of Commendation in 1992. In 1993 he was the recipient of the Gordon E. Sawyer Award, his second Oscar. In 1995 he shared a third Oscar (Academy Scientific and Technical Award) with his son, Paul, for the blue-screen advances made by Ultimatte Corporation. 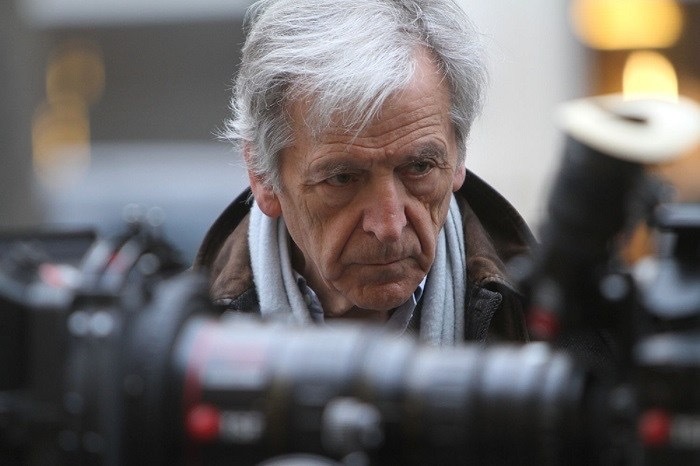 The film “Z” by Costa Gavras, which presents the murder of the lefttist MP Grigoris Lambrakis was nominated for two Oscars in the 42nd Academy Awards, in 1970, representing Algeria. It won the Best Film Editing Oscar and Best Foreing Language Film. 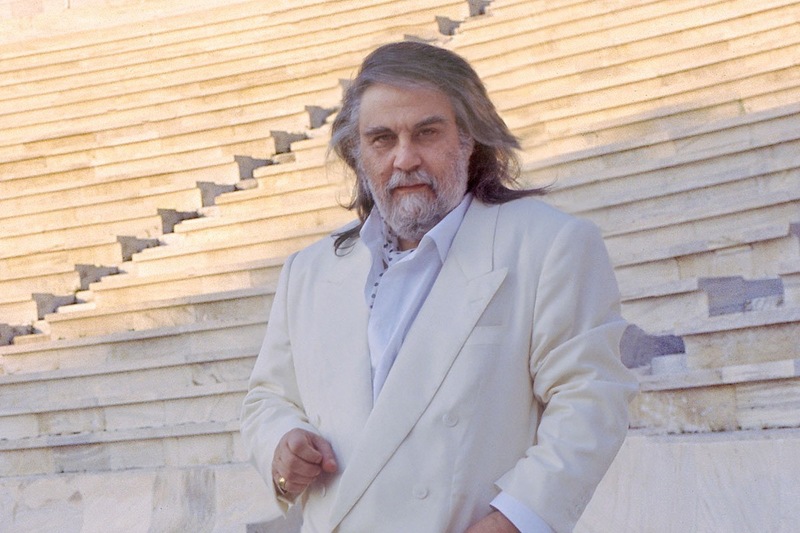 It was in 1982 that the composer Vangelis Papathanasiou won the Oscar for Best Music for the film “The Chariots of Fire”, a music theme that brings us in mind the great Olympic Games ever since. In the category Best Short Film, Christina Lazaridi was nominated for “One Day Crossing”, but unfortunately didn’t get to win. 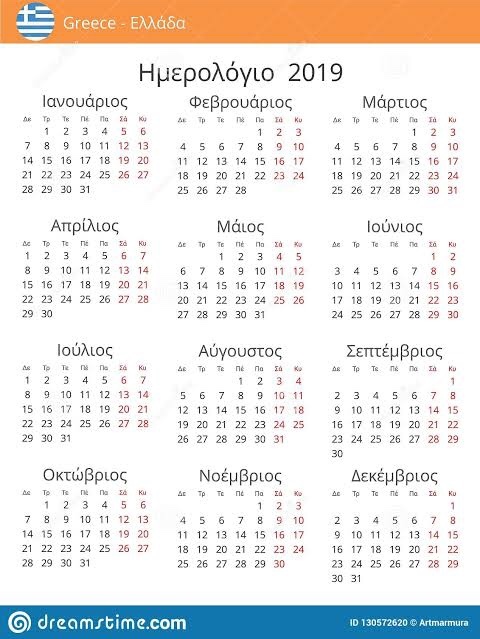 The film “Kynodontas” by Yorgos Lanthimos brought fame and glory to the greek cinema, being nominated as Best Foreign Language Film in 2011, and made the world see the greek cinema with a different view. Unfortunately, the film “In A Better World” from Denmark won instead. Lanthimos is again nominated in the category Original Screenplay for 2017 with “The Lobster”. 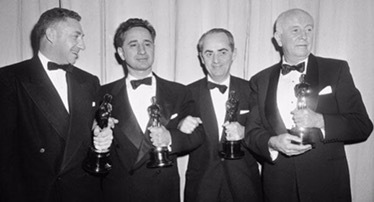 Elia Kazan won the Oscar for Best Director for “Gentleman’s Agreement” in 1948, starring Gregory Peck, and a few years later, in 1955, he won again with the film “On The Waterfront”, in which Marlon Brando won the Oscar for Best Actor in leading role. In 1963, his film “America America” was nominated for Best Picture, Best Director, Best Writing and Screenplay. 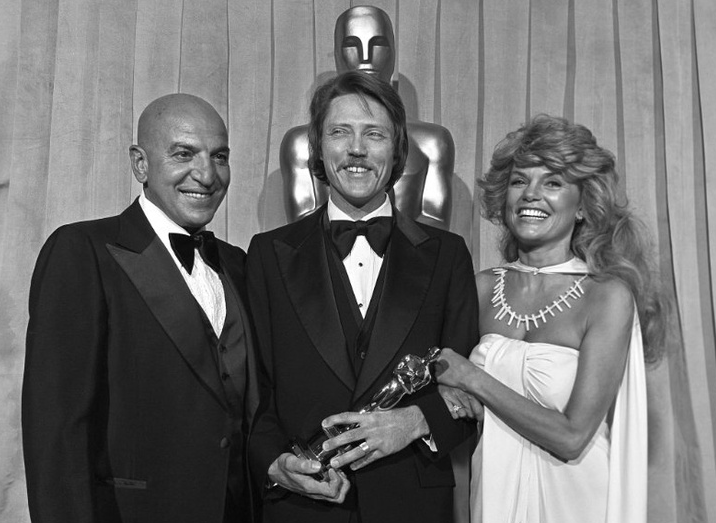 Gene Callahan won the Oscar for Best Art Direction-Set Decoration. Elia Kazan receives an honorary Oscar from Martin Scorsese in 1999. Elia’s son, Nicholas, was nominated for Best Writing, Screenplay Based on Material from Another Medium. 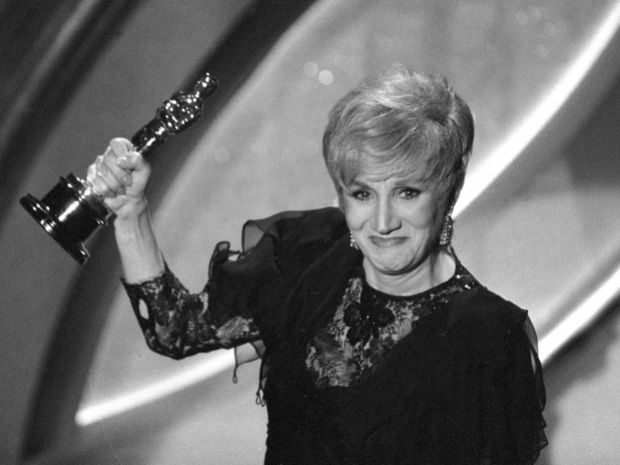 Olympia Dukakis won the Oscar for Best Supporting Actress in the film “Moonstruck”. 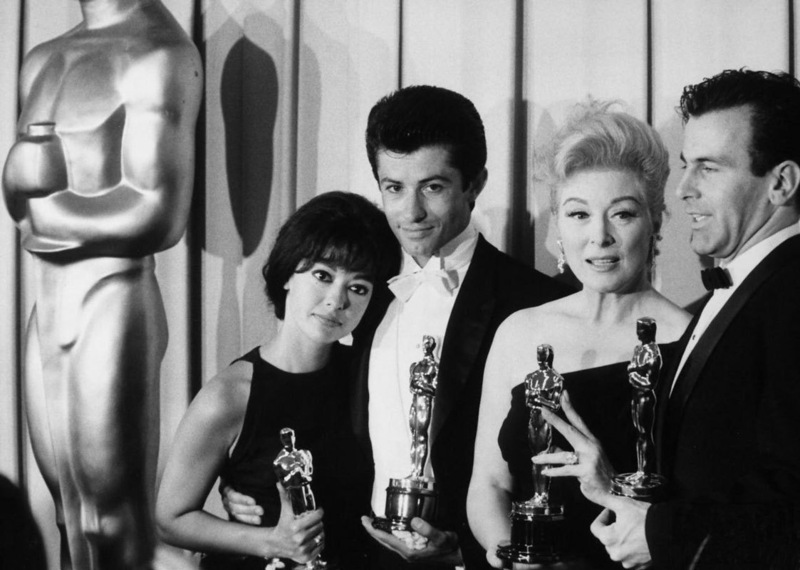 In 1962 George Chakiris won the Oscar for Best Supporting Actor for the film “West Side Story”, and became the first actor to win an Oscar for his dancing skills. Pan was born Hermes Panagiotopoulos in 1909 in Memphis, Tennessee, of Greek extraction. His father, the Greek consul in Memphis, Tennessee was from Kalavryta in Peloponnese, where his family had opened the first theatre. He is principally remembered as Fred Astaire’s choreographic collaborator on the famous 1930s movie musicals starring Astaire and Ginger Rogers. He won an Emmy Award for the 1958 television special An Evening with Fred Astaire and was recognized with a National Film Award in 1980, and by the Joffrey Ballet in 1986. He was awarded the 1937 Academy Award for Best Dance Direction for “A Damsel in Distress”. He had previously received Academy Award nominations for the “Top Hat” and “The Piccolino” numbers from Top Hat (1935) and for the “Bojangles of Harlem”‘ number from Swing Time (1936). Telly Savalas was nominated for Best Actor in a Supporting role for the film “Birdman of Alcatraz”, in 1963. 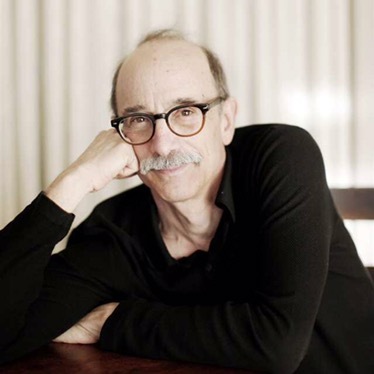 He was nominated for the Oscar of Best Achievement in Cinematography in 2014, for the film “Nebraska”, which was directed by the also Greek Alexander Payne. The film was nominated for 6 Oscars: Best Motion Picture of the Year, Best Performance by an Actor in a Leading Role, Best Performance by an Actress in a Supporting Role, Best Achievement in Cinematography, Best Achievement in Directing, Best Writing, Original Screenplay. 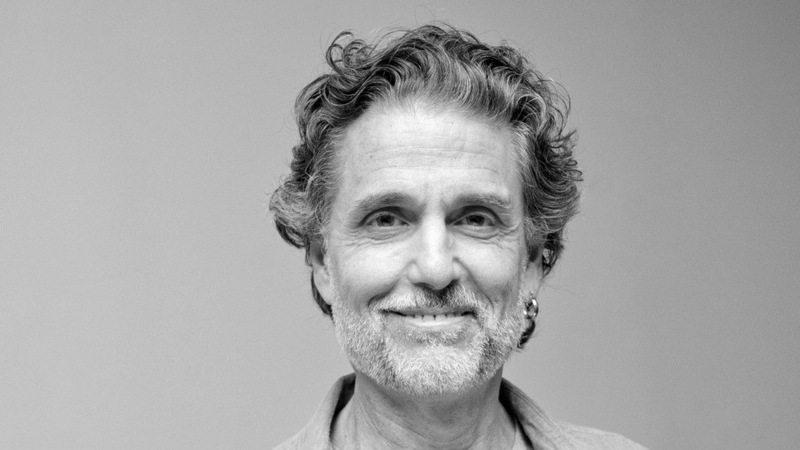 Payne is a two time winner of the Academy Award for Best Adapted Screenplay, and a three time nominee of the Academy Award for Best Director. Payne’s film “The Descendants” was nominated for 5 Oscars: Best Writing, Adapted Screenplay, Best Motion Picture of the Year, Best Performance by an Actor in a Leading Role, Best Achievement in Directing, Best Achievement in Film Editing. It finally won the Oscar for Adapted Screenplay. 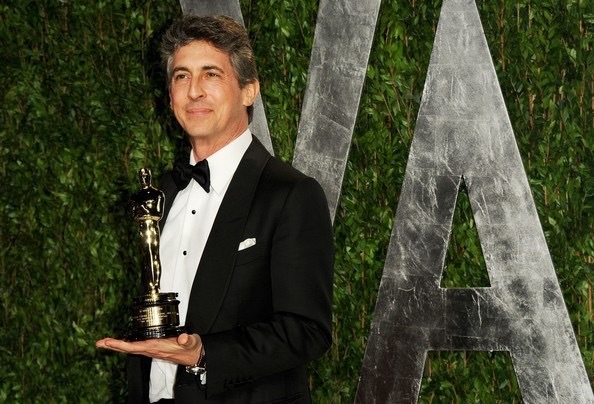 He was nominated for the Best Supporting Actor Oscar for the film “Dog Day Afternoon”. 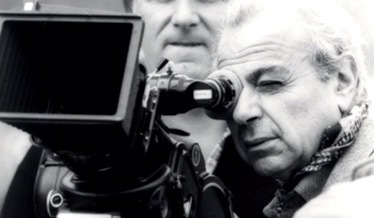 He was nominated for three Oscars: Best Director (for the fiml “A Woman Under The Influence” in 1975), Best Writing, Story and Screenplay – Written Directly for the Screen (“Face” in 1969( and Best Actor in a Supporting Role (in the film “The Dirty Dozen”, 1968). 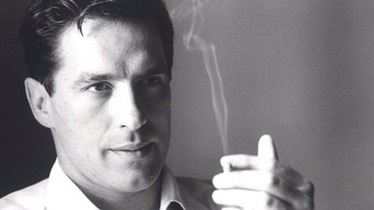 He had five Oscar nominations (Best Art Direction-Set Decoration for “The Godfather: Part III” (1990), Best Art Direction-Set Decoration for “Tucker: The Man and His Dream” (1988), Best Art Direction-Set Decoration for “Apocalypse Now” (1979), Best Art Direction-Set Decoration for “The Brink’s Job” (1978), and Best Art Direction-Set Decoration for “The Godfather: Part II” (1974), which he actually won. Nominated for Best Writing, Original Screenplay for the very successful “My Big Fat Greek Wedding”. He has eight nominations for Best Achievement in Music Written for Motion Pictures (The Grand Budapest Hotel (2014), The Imitation Game (2014), Philomena (2013), Argo (2012), The King’s Speech (2010), Fantastic Mr. Fox (2009), The Curious Case of Benjamin Button (2008), The Queen (2006). He got to win the Oscar for The Grand Budapest Hotel. 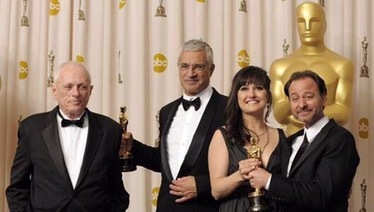 Psihoyos won the Oscar for Best Documentary for the film “The Cove”. 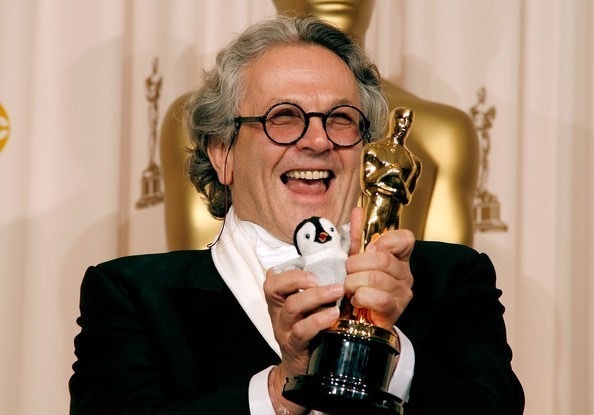 He is mostly famous for making the trilogy of the movie «Mad Max» (1979, 1981, 1985), and later on for «Happy Feet» (Oscar Award for Best Animated Feature Film of the Year 2006), and «Babe» (Oscar Award for Best Visual Effects in 1995). Mad Max is nominated for 10 Oscars. 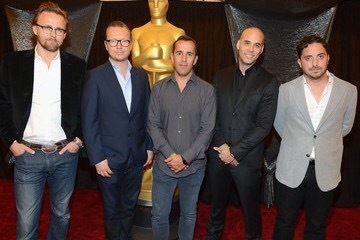 The Greek-American producer was one of the producers to win the award for Best Picture for “12 Years a Slave,” alongside Steve McQueen, Brad Pitt and Jeremy Kleiner. 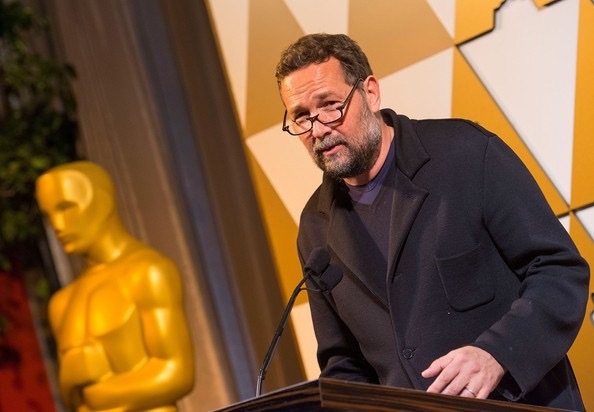 The noted Greek-American film producer, who has backed more than 30 films, hit the jackpot at the 2014 Academy Awards, winning an Oscar as one of the producers. 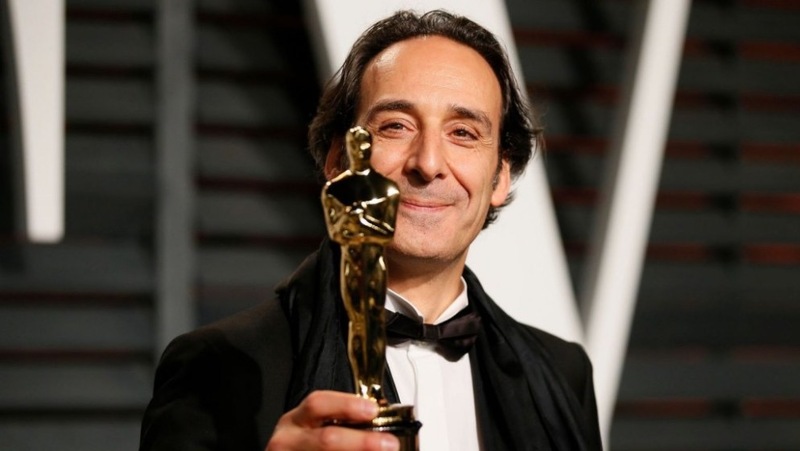 He is best known for his 2012 film A Royal Affair which won two prizes at the Berlin International Film Festival and was nominated for Best Foreign Language Film at the Academy Awards. Elizabeth Gianni- Georgiou with David White are nominated in the category Makeup and Hairstyling, for their wotk in the movie Guardians of the Galaxy in 2015. 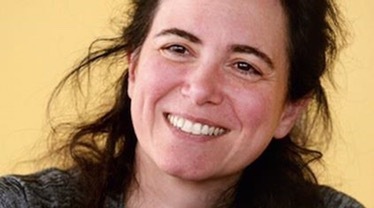 Mary Zophres is one of the most talented costume designers in Hollywood. 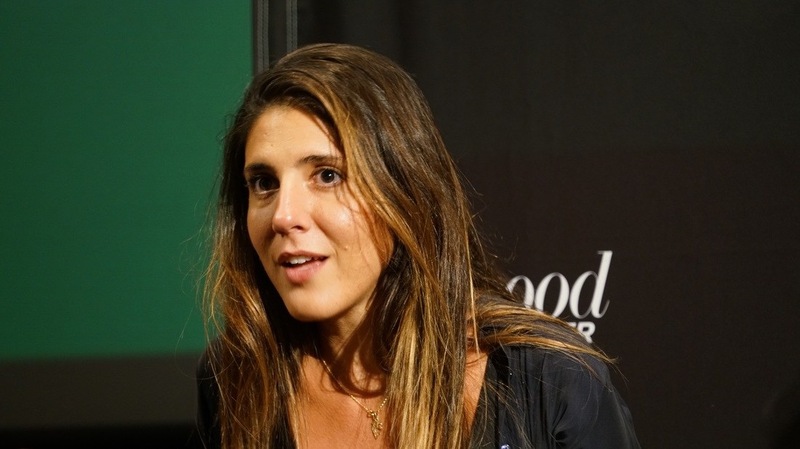 She has worked with the most important directors of Hollywood like Steven Spielberg and Coen Brothers among others. 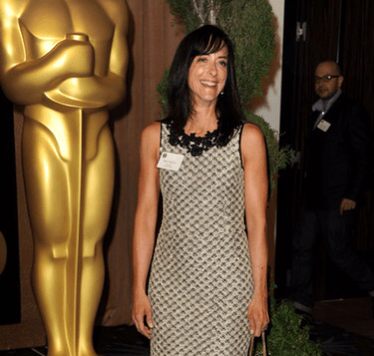 In the movie “True Grit” she earned an Oscar nomination of the best Costume Designer. 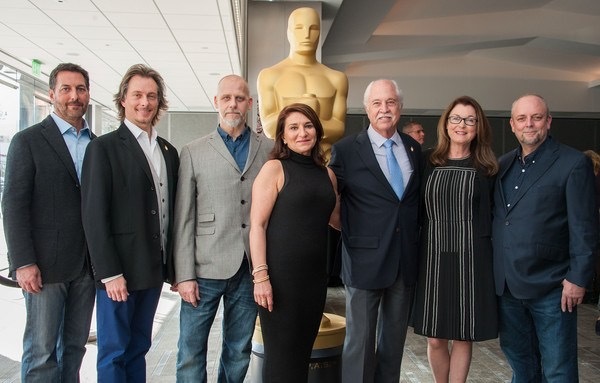 The Academy of Motion Picture Arts and Sciences announced that the 5 nominations for Documentary Short Subject for the 89th Academy Awards 2017. Among them Daphne Matziaraki’s documentary about the refugee crisis, «4.1 Miles».